Just when you think you know everything about your favorite social media site, there are always new and exciting changes. 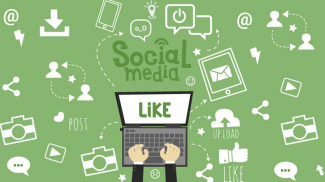 And then there are some secret social media hacks you’ll wish you knew before reading this. There are so many of them in fact, that I’m going to highlight a couple here for Instagram, Facebook, Pinterest, Twitter and LinkedIn. Share the picture to Twitter or Facebook after uploading to Instagram? Yep. We all know you can share the photo at the same time you upload it to Instagram, but you can also go back to any of your pictures and share an Instagram pic. Decide which Instagram photo in your gallery you want to share. Down in the right corner, click on the ellipsis button and you can select “Share”. The photo and caption will appear where you can edit what you originally posted on Instagram, so you can make any change to what’s written before you share it. 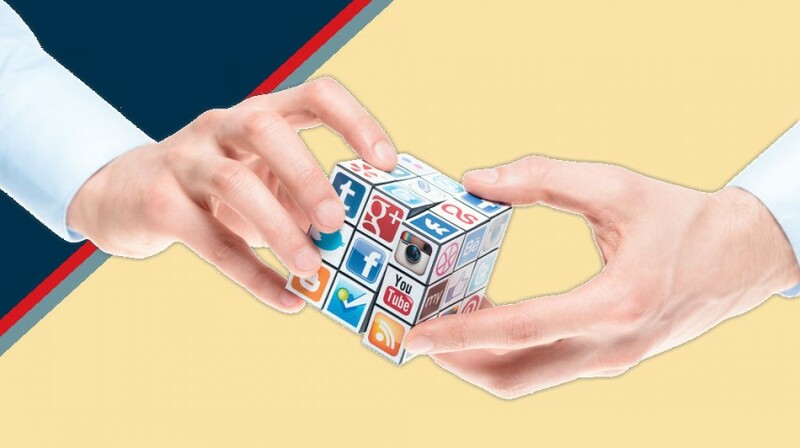 Choose what social media site you want it to post on, and then hit share. With your phone set on “Airplane Mode” any Instagram photos you snap, will be saved to your phone but not posted to Instagram! You can learn exactly the method here. This is a sweet hack for those power Instagrammers to ensure being able to pick the best image to post on Instagram. Ever wonder when the best time to be sharing that tricked out Instragram pics? Well wonder no more. Iconosquare (formerly Statigram) analyzes your post history and interaction on Instagram and shows you when the times of day are best to post. 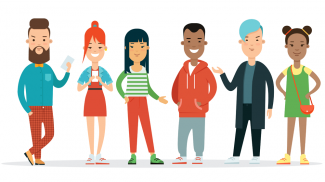 In addition to that, you can see who are your most-engaged followers, most liked and commented on posts, your new followers, who un-followed you and so much more. 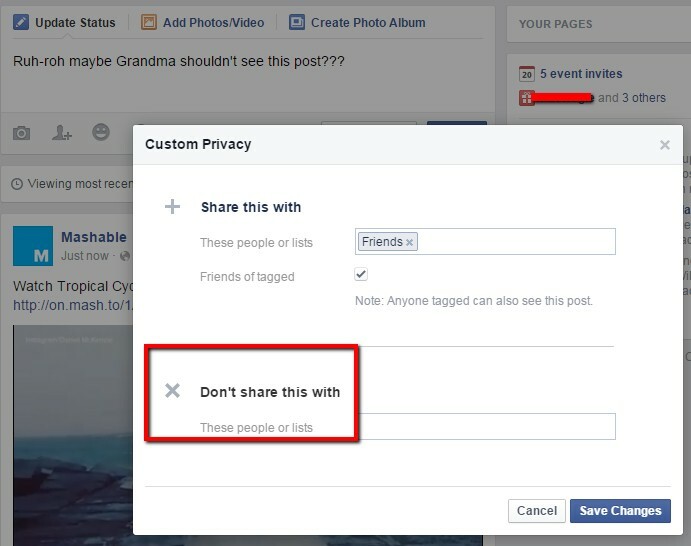 … Where you can enter in the name(s) or even entire lists of people you don’t want to share that post with. 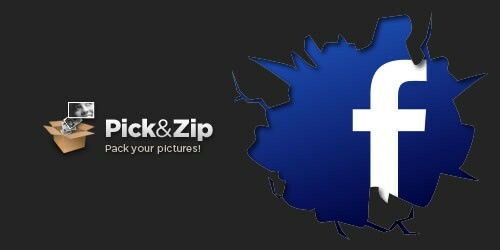 With the Pick&Zip app not only can you download all of your photos but you can also grab pictures that people have tagged you in. Not only for Facebook, but you can download pictures from Instagram and your Vine video clips! Here’s an added bonus … it’s free! Ever have that friend who the millisecond sees you pop online is blowing up your Facebook chat? Yeah, we all have a couple of those. But there is a hack for that! 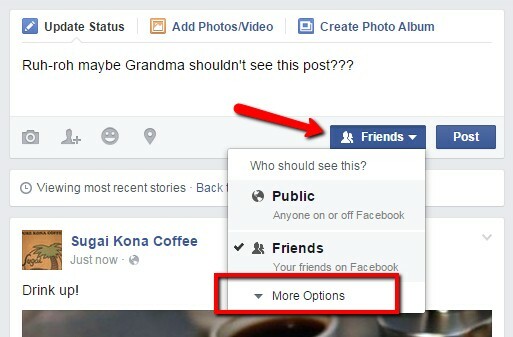 It’s as simple as creating a specific list of people on Facebook that you can “Go Offline” to those people. Thanks to Mashable for sharing the handy gallery of advanced Facebook settings to control your online status. Ah yes, a major source of frustration for many people. You can work around the problem with this hack. 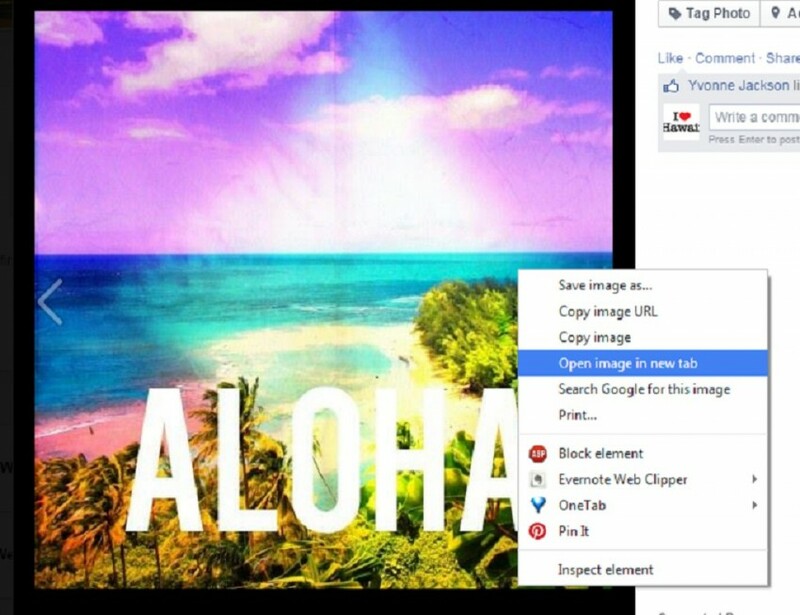 Click on the Facebook picture you want to pin. You will then be able to pin that picture from that page. Promise. For those of you who are power pinners, this hack can be a godsend. When you highlight text on a page that you want to pin and click “Pin It”, that text you just highlighted is auto-magically added to the description box. Didn’t you know you could? Want to see the very first tweet you ever sent? 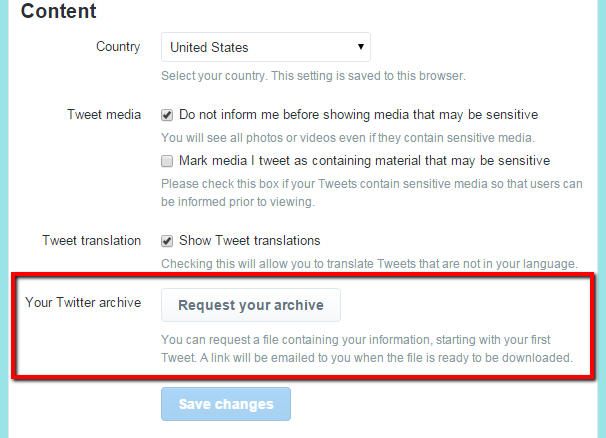 Twitter gives you the ability to request your archive. If you head to the Twitter Account Settings for your profile, you’ll see this nifty little option at the bottom of your page that you can click on and be emailed your tweet history. Are They Following You Back? Always a question for people wondering if the person they followed a few weeks ago un-followed them, but who really wants to try to scroll through Twitter to figure that out? Friend or Follow can help you with that. It can also tell you about your followers on Instagram and Tumblr. You can try them free for 7 days and then it’s $9.99 a month which will give you more account to link to and gain advanced features. Is that possible? Oh yes, indeed it is. 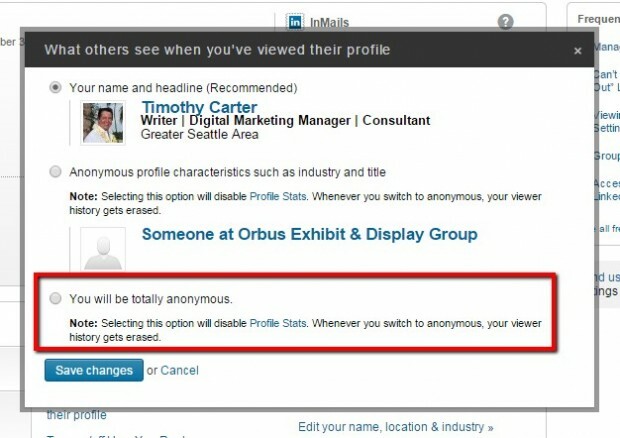 Go to “Privacy & Settings” for your profile when you hover over your LinkedIn profile image in the upper right of the page. As noted in the image above, when you choose the totally anonymous option, you lose a bit of history, but, it’s up to you and why you’d want to surf LinkedIn anonymously. I can’t believe this hasn’t had more publicity with how big LinkedIn is. With LinkedIn’s Resume Builder, you can turn your LinkedIn profile into a professional resume in mere moments. Pick a template, customize what you want to show. Save it as a Word or PDF doc and there you go. You now have a well-crafted resume from all the hard work you’ve put into your LinkedIn profile. Seriously, there are myriad of social media hacks and tricks for all of these sites. But I want to hear from you. Do you have any social media hacks you’ve discovered for any of these sites? Glad you found it to be of value Martin! I appreciate the comment. Thanks for the tip. I love the fact that you can share Instagram photos anywhere. I have always been a fan of the social platform because of images but it seems that you can also use it to market everywhere. The Airplane mood and Instagram, is simply genies. Thanks for sharing the LinkedIn anonymous feature, normally that’s a feature that comes with premium subscription. Great hacks! You really hit the point right there. I just want to ask if, is it okay with you if I use your post as a reference for my next infographic? Great little hacks that help a lot on a day-to-day basis. I would also add that one can auto-reply to new Twitter followers and ask them to share content your give you social signals. This in turn helps your ranking. Great Article. This article helpful and useful for many people and in this post good explanation in detail. I like this post. This post helpful for me. It’s wonderful information. Good information given in this post. Professional, tested and trusted hackers are like diamond in the dirt, they are so hard to come by, you only come across them mostly by recommendation based on the good jobs the have done. Allow me to introduce to you this top notch hacker, he helped me to hack my spouse’s KIK and other social media accounts, he is FAST, RELIABLE, TRUSTWORTHY and his hacking are UNTRACEABLE and UNNOTICEABLE, what more qualities makes a professional hacker? He’s got them all. Darkweb solutions have a very bad support team, takes days to get replies from them but fortunately, I found “yellowlabs tech” guys to be more flexible in the way they go about their operations, with videos calls on Skype to show details and progress of your job, there is no way you are getting played by a wannabe hacker or a scammer for that matter.